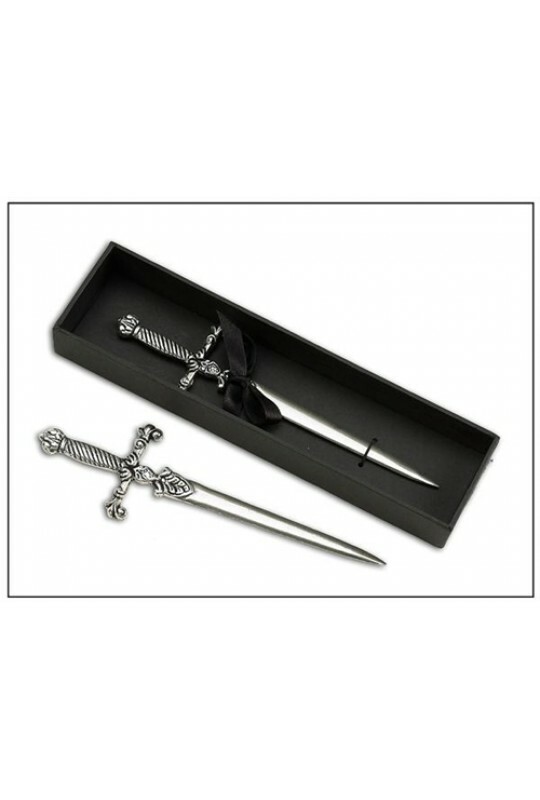 Superbly crafted Medieval Sword Letter Opener from Italy. Open your mail with style! 7" long. 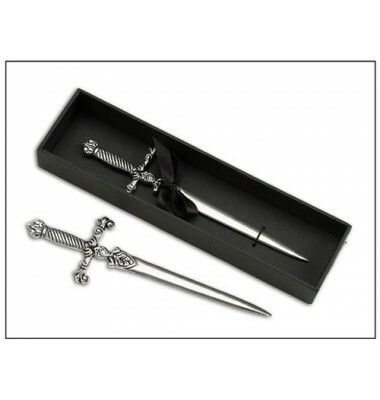 Medieval-style Sword functions as a very handy desk accessory to speed up the opening of mail.